How Can We Make Deepwater Drilling Safer? of this century. One thing is clear: the era of easy oil is over.” And as we have seen over the past month and a half, the end of that era has led us to drill in dangerous places without proper safety precautions. So how can we make sure a Deepwater Horizon-like disaster doesn’t happen again (besides banning deepwater drilling altogether)? Mandatory inspection of each blowout preventer (BOP) to be used on floating drilling operations to ensure that the BOP: meets manufacturer design specifications, taking into account any modifications that have been made; is compatible with the specific drilling equipment on the rig it is to be used on…has not been compromised or damaged from previous service; is designed to operate at the planned operating depth. Development of enhanced deepwater well-control procedures. A comprehensive study of methods for more rapid and effective response to deepwater blowouts. 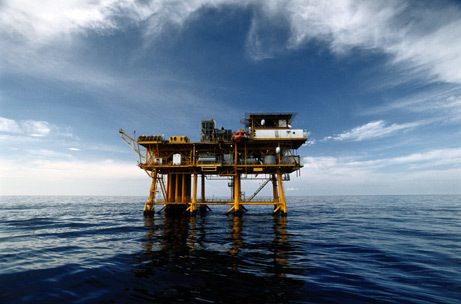 Enhanced requirements to improve organizational and safety management for companies operating offshore drilling rigs. New rules requiring that offshore operators have in place a comprehensive, systems- based approach to safety and environmental management. Many petroleum engineers think that bringing blowout preventers to ocean’s surface could make drilling much safer. In such a scenario, one BOP would be located underwater at the wellhead and another would be on the drill rig. The BOP on the drill rig could be tested and inspected regularly. The hitch is that mandatory implementation could halt new drilling operations for years while the technology is developed. Drilling engineers say the BP accident could finally provide the impetus for deepwater response tools. Funding to perfect some of the schemes that BP has thrown at the spill, they say, should spawn an entire deepwater response industry, analogous to the well-control contractors who secure hundreds of dangerous onshore wells per year worldwide. What will become of the deepwater drilling industry if it is forced to adopt expensive, advanced safety measures? Oil from deepwater wells might become too expensive to compete on global markets, for one thing. In the end, though, higher oil prices may be worth it if they help us avoid another multi-billion dollar disaster.